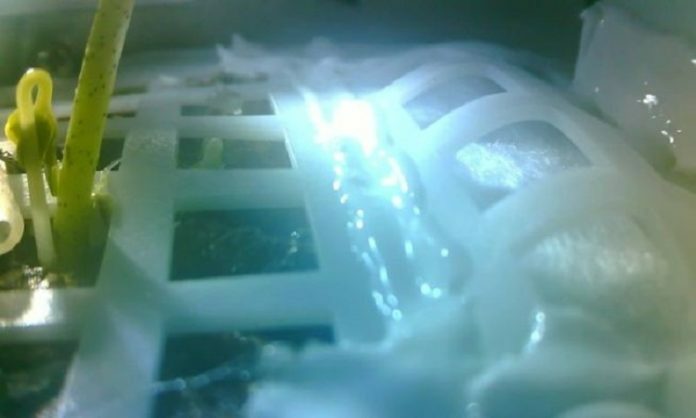 Home Exploration China’s seeds have sprouted on the Moon! For the first time in the history of the known universe, life has intentionally taken hold on another world. And in another first for mankind…new life has also died on a new world. This was always going to be the case, although perhaps Chinese scientists were hoping for the experiment to last a little longer before writing an obituary for the little seedlings. It has been reported that the small plants were unable to survive the cold lunar night. 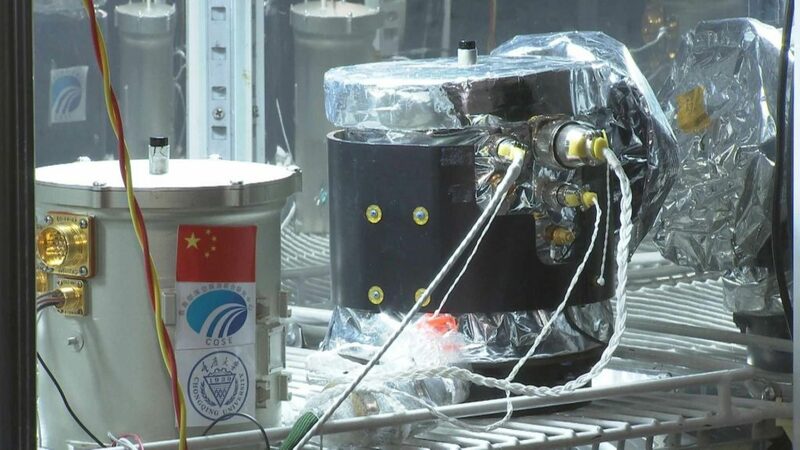 In fact, all is not lost, as Chinese officials pointed out that the lunar night and day cycle would pose the greatest challenge to the experiment. They now know exactly how difficult that challenge turned out to be. 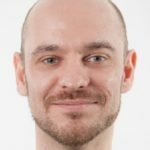 Failure is a great teacher and will allow researchers to develop better systems next time. 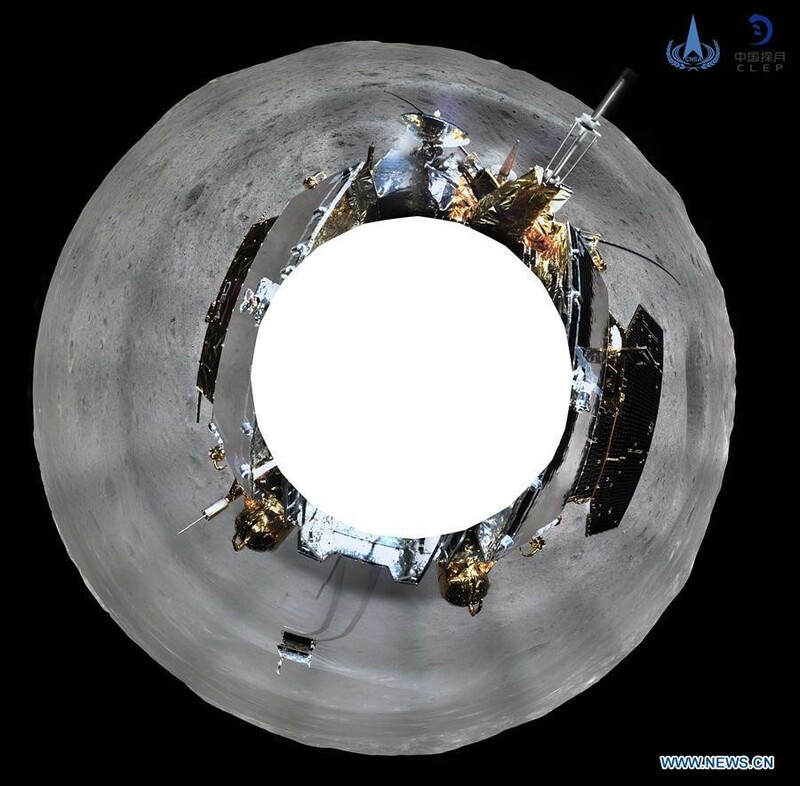 We have been covering China’s Chang’e 4 mission over the last month, and we have discussed the miniature biosphere experiment which was contained on the Chang’e lander. You can see a close up of the biosphere canister in the image below. The canister measures 18cm in height and 16 cm in diameter and weighs 2.6kg. It was machined out of aerospace grade aluminium. It cost a whopping 1.5 million USD, and included a camera costing $90,000 USD. The small sealed unit contains a variety of seeds and insect pupae, which when bought to life were intended to form a symbiosis with each other, demonstrating the potential for a closed-loop ecosystem on another world. This is incredibly important for future space colonists, as they will not be able to rely on regular supplies of food, oxygen and other necessities from Earth, and so will hope to cultivate these things in-situ. There were 6 different organisms sent along for the ride, forming an ecosystem comprising producers, consumers and decomposers. The specimens were: cotton, rapeseed, potato, rock cress, yeast and fruit flies (it was previously reported that silk worms would be in the container- the inconsistency in reporting comes from the source). It was planned that yeast and insects would provide CO2 for the plants, while themselves taking oxygen from the plants. The yeast would serve as a food for the insects and any leftover excreta from the bugs would serve as fertilizer for the soil. 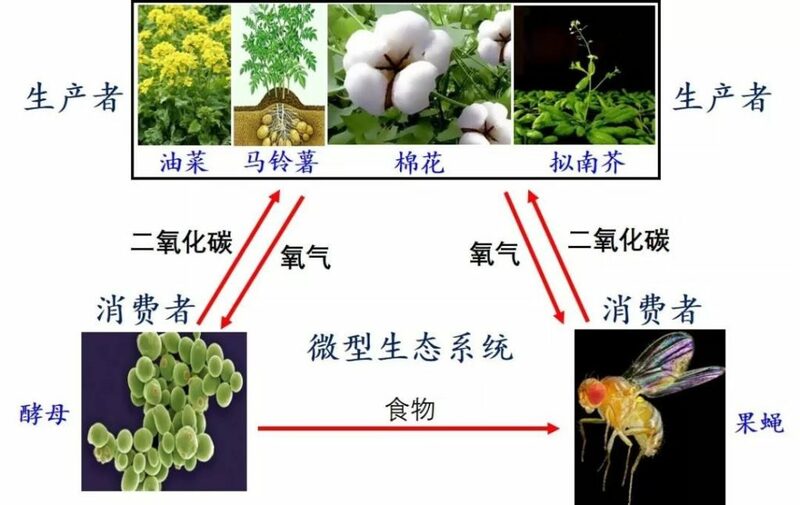 The graphic above shows the symbiosis in detail, and is pretty clear even if you don’t read Chinese. The first seeds to germinate on the far side of the Moon were the cotton seeds, followed by the potato and rapeseeds. It has been reported that the cotton seedlings were the first to die, and it is not yet clear if the other plants have survived. China has also been running a twin experiment as a control back here on Earth. You can see the apparatus they are using for the twin in the image below. Over 170 photos have been taken of the experiment so far, and we hope to bring more of them if they are released. In addition to the biological experiment, the other experiments on the lander have already started to begin. 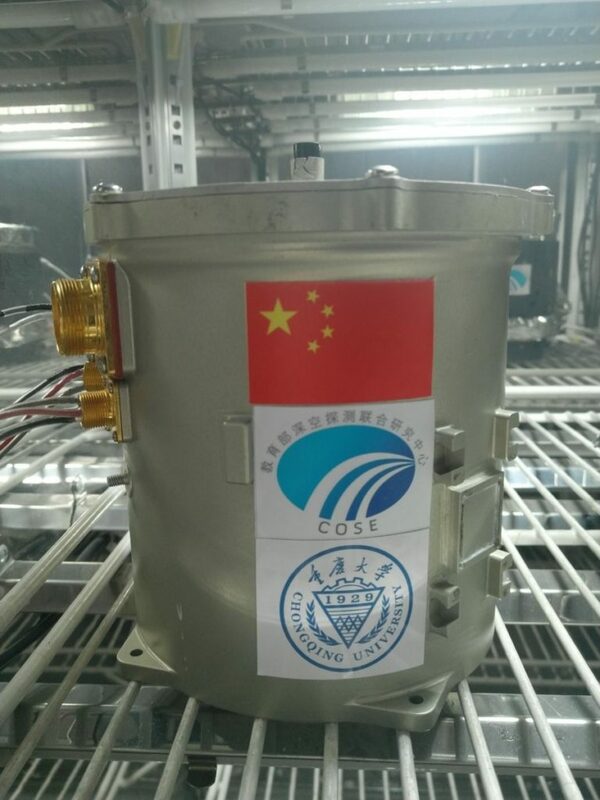 One such experiment is the neutron radiation detector aboard the Chang’e 4 lander which was developed by Germany, and a neutral atom detector on the rover, developed by Sweden. They have both been switched on for test operations before investigations begin proper, according to a CNSA statement. The first data from the neutron detector should be sent back to Earth for analysis in early February. And finally, we have seen the first panorama from the lunar lander which was released last week. You can see the panoramic image below, or you can view the full stretched out panorama at Xinhua’s website at this link. As always, we will keep you updated on any new developments from the far side of the Moon.